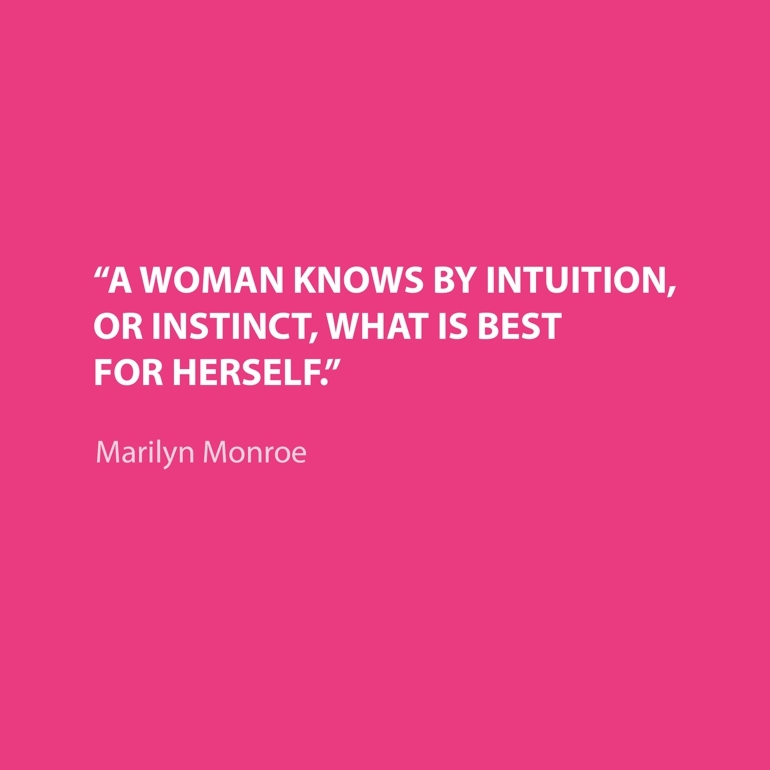 With one of the most recognisable names and faces in the world, Norma Jeane Mortenson – better known as Marilyn Monroe – knew a thing or two about life. 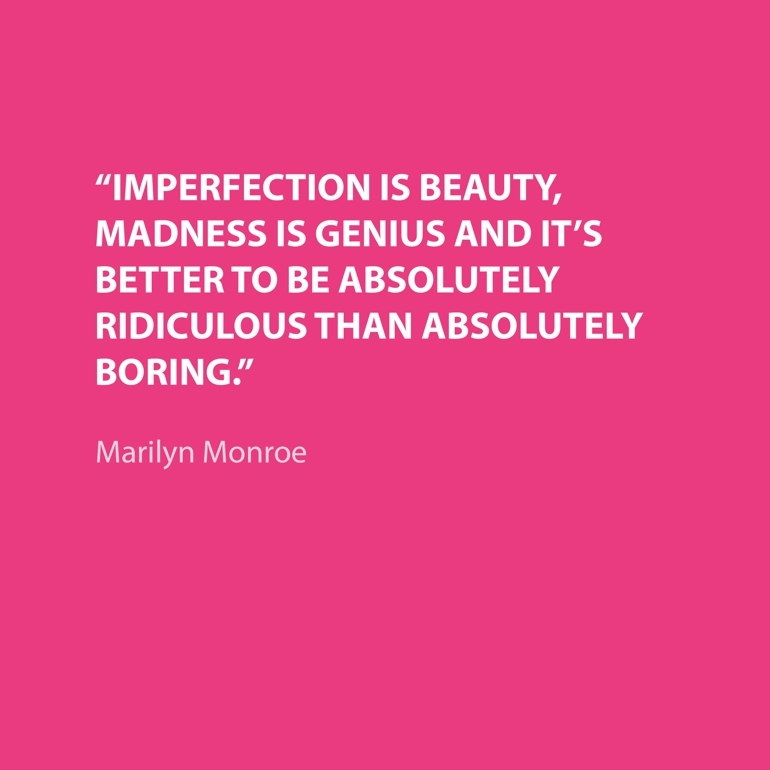 To celebrate her 90th birthday, I would like to share with you Marilyn Monroe’s best lessons in love, beauty and being happy. 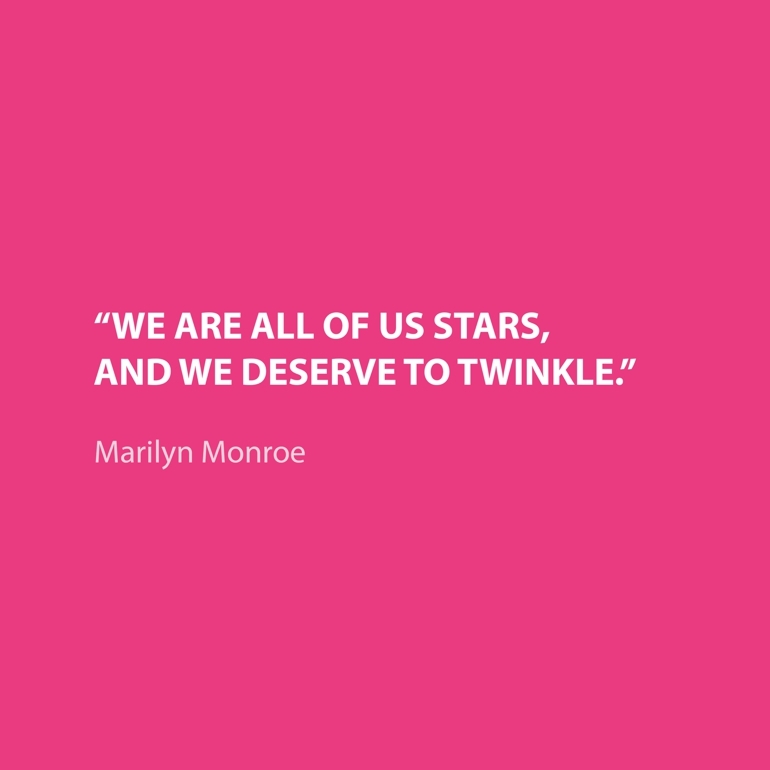 This is one of the most beautiful quotes ever uttered by Miss Monroe, and it’s especially touching because it comes from someone that spent much of their adult life as a star in the form of a celebrity. We all deserve to shine, it’s just a matter of taking the opportunities that are granted to us to show what we can. As we all have something to say, a talent to behold, or a natural gift to share with the world. Here’s an empowering quote that suggests it’s OK to bend the rules now and then in the name of progress and success. It’s not a matter of breaking the law or showing a disrespect for authority, but rather confirming that you won’t let anything stop you from reaching your desired destination. 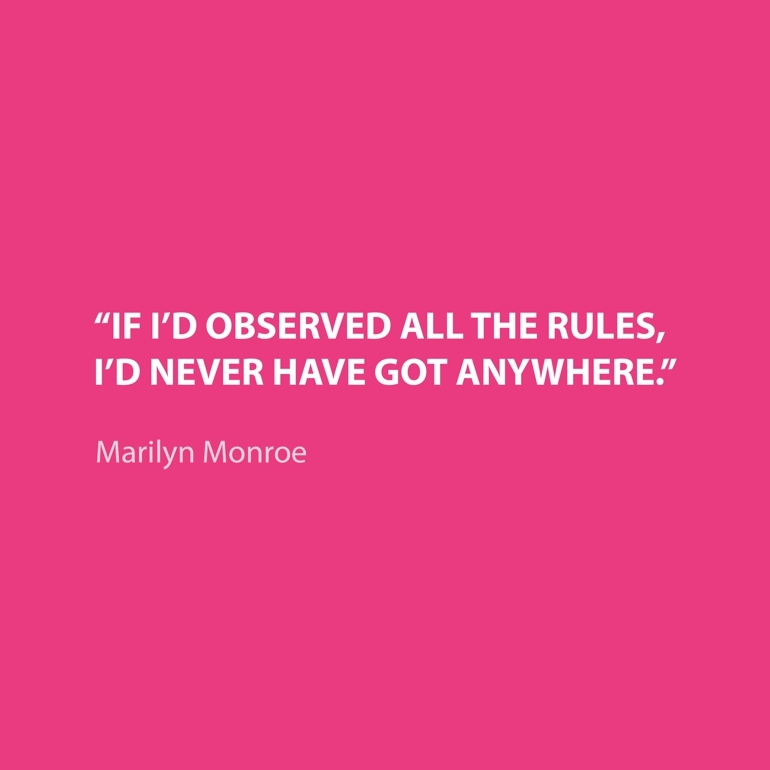 Monroe wasn’t encouraging a state of lawlessness, but just giving a nod to the bendability of the established rules that govern our lives. 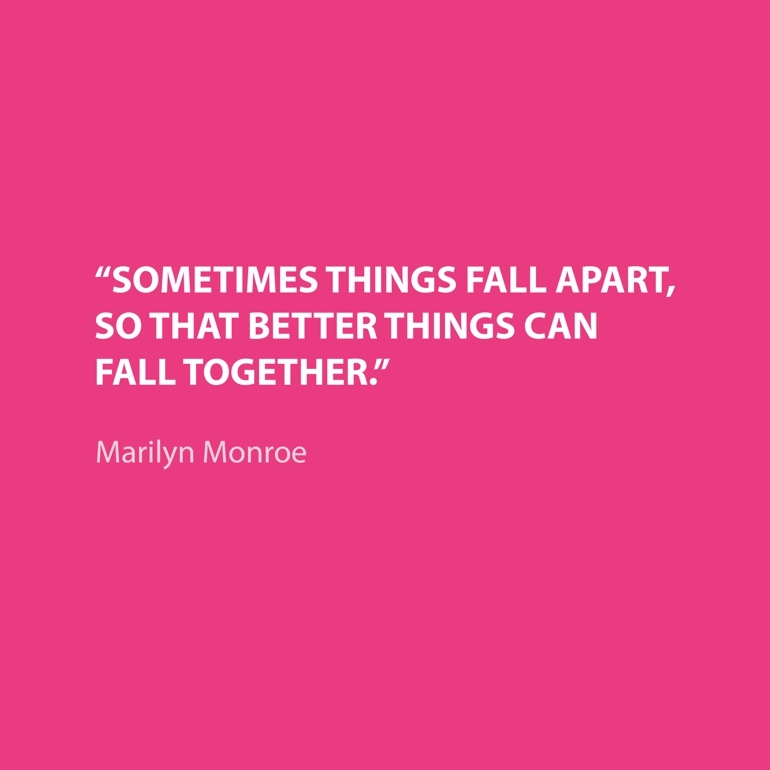 This puts a very good spin on those times when it appears that things aren’t going as planned, or after a bad break-up, or other low times in life. Often the universe has other plans for us that simply don’t fit in with our ideal timeline. We simply have to trust in the final outcome, even if it means going through some trying times or say goodbye to the people we once loved. As long as you keep hope and optimism alive and keep the door open for something better to come along, more often than not it will. A reminder to look for the positive in ever negative and to step out of your comfort zone. 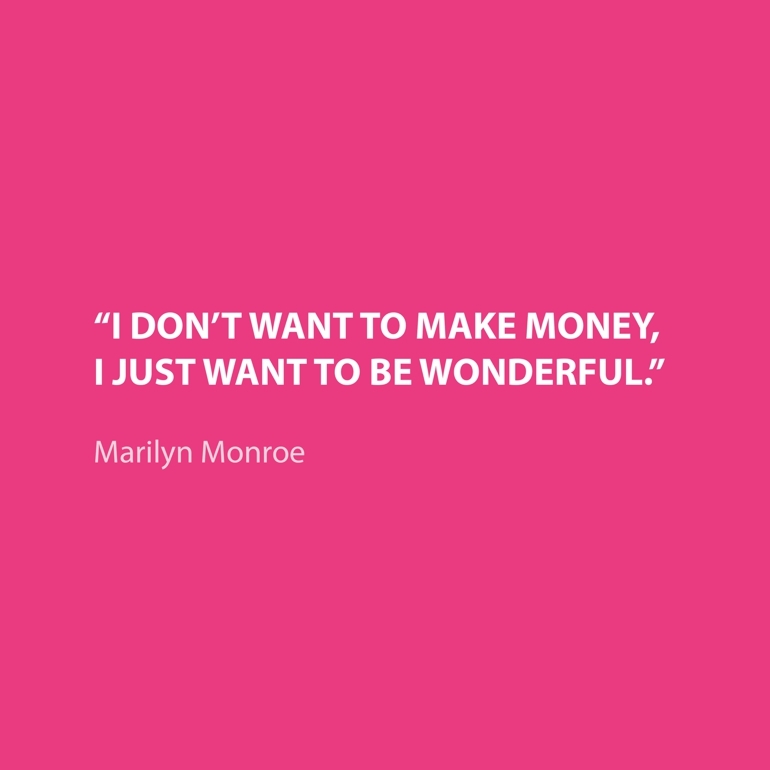 By doing so, just like Monroe, you are guaranteed to make the most of this life time and what a life it will be – full of surprises, great accomplishments, adventures, overwhelming gratitude, abundance and heart bursting love, for both yourself and others. This quote speaks of the endless possibilities we are all capable of. 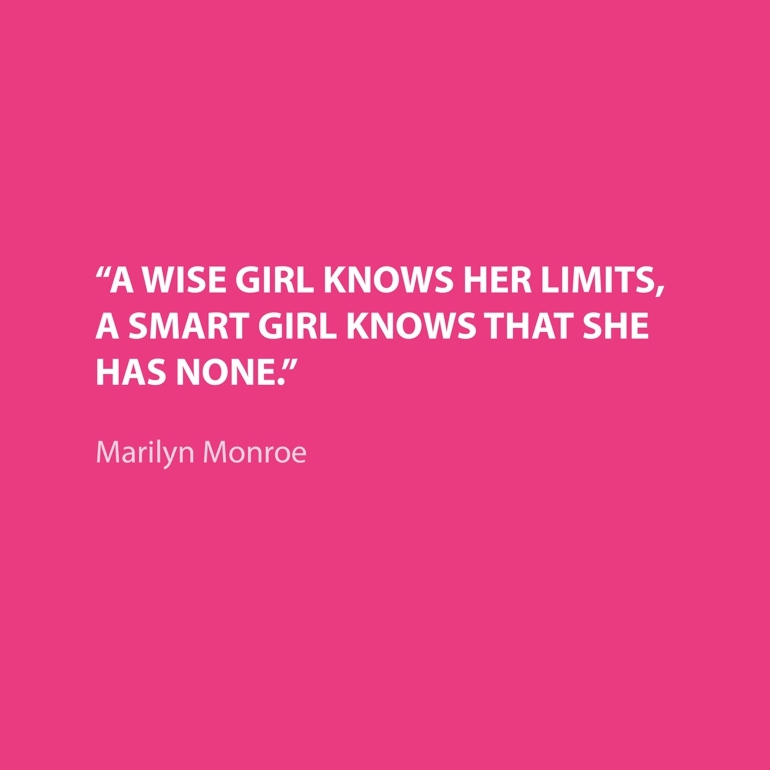 I believe, like Monroe, you and only you set the limits you are confined by. And don’t allow anyone or anything else tell you differently. Be it non-believers, fear junkies, outdated traditions or restrictive societies. Their option is non of your business. All we need to make the most of this life can be found within in us. Too often we look outside of ourselves for the answers and solutions to our perceived problems, when all we have to do is look within ourselves. Monroe was born with the natural skills to become a talented actress, as it was her destiny to touch the lives of so many people by bringing them joy, laughter and delight. Never question that truth speaking voice within you, for she always knows best. Therefore trust her, respect her, believe in her and let her guide you. For she has the knowledge and power to help you, help yourself, achieve your boldest goals and make your wildest dreams come true. 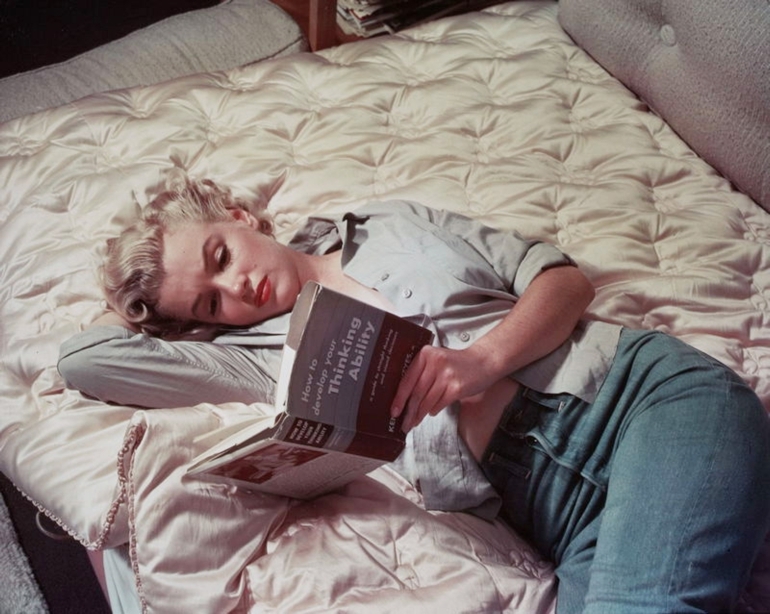 Despite Monroe’s ups and downs she approached life with style and gusto, which I greatly admire. Stay true to yourself by being bold and brave yet elegant and classy. 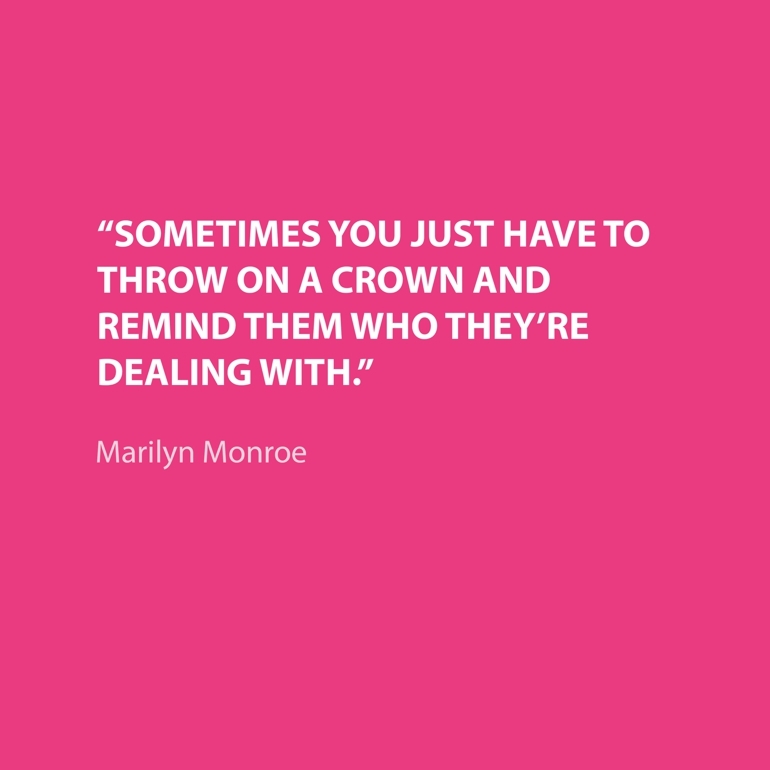 Channel your inner Queen daily and remember you are the creator of your own Kingdom. 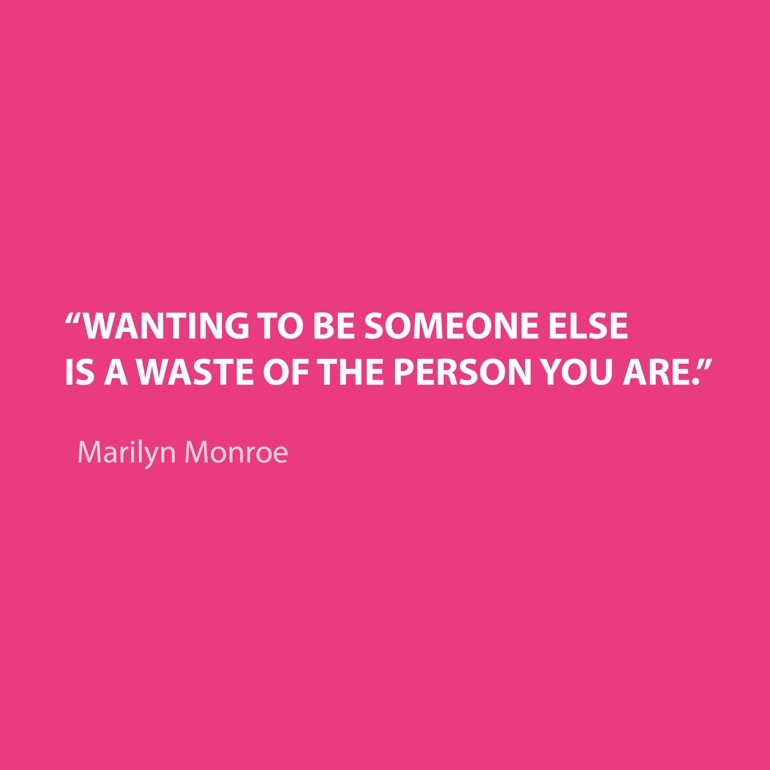 We’ve all had the feeling of wishing we were someone else, no matter how brief it lasted. Sometimes it can be easy to get fixated on someone else, whether it be a celebrity or someone you know personally. But it’s a huge oversight because it negates what a wonderful person you yourself are. It’s fine to admire the traits of someone else, and make it a point to have those same traits, but there’s no reason to wish you were them, especially since you don’t know exactly what it’s like to be them. If you were given the chance to be them you may realise it’s not all it’s cracked up to be. Even though Monroe had many challenges and plenty of reasons not to smile, it shows she was always looking for the beautiful things in the world, and choosing happiness over sadness. 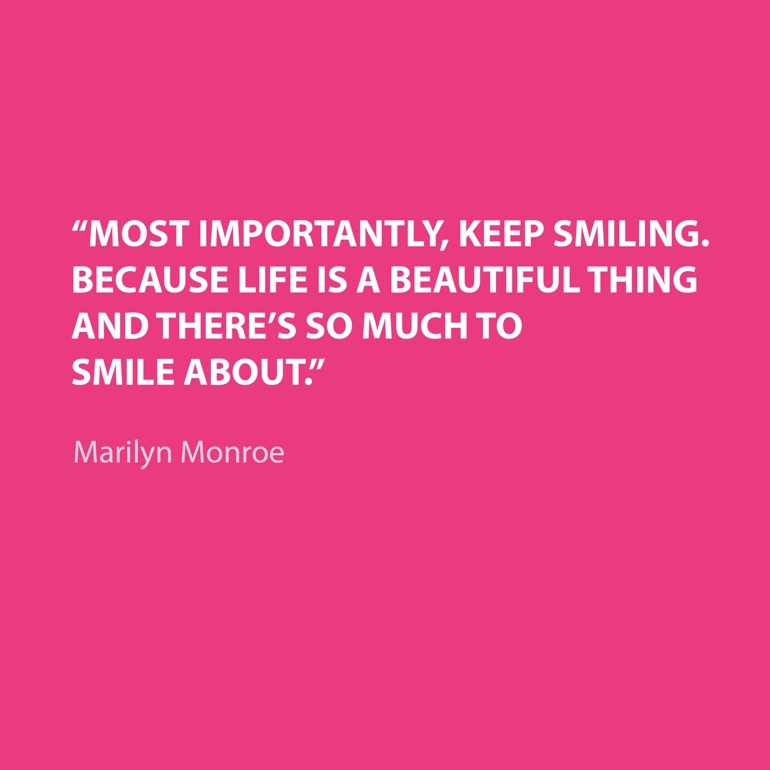 Whenever you’re feeling blue remember this quote, look around for things to smile about and count your blessings.